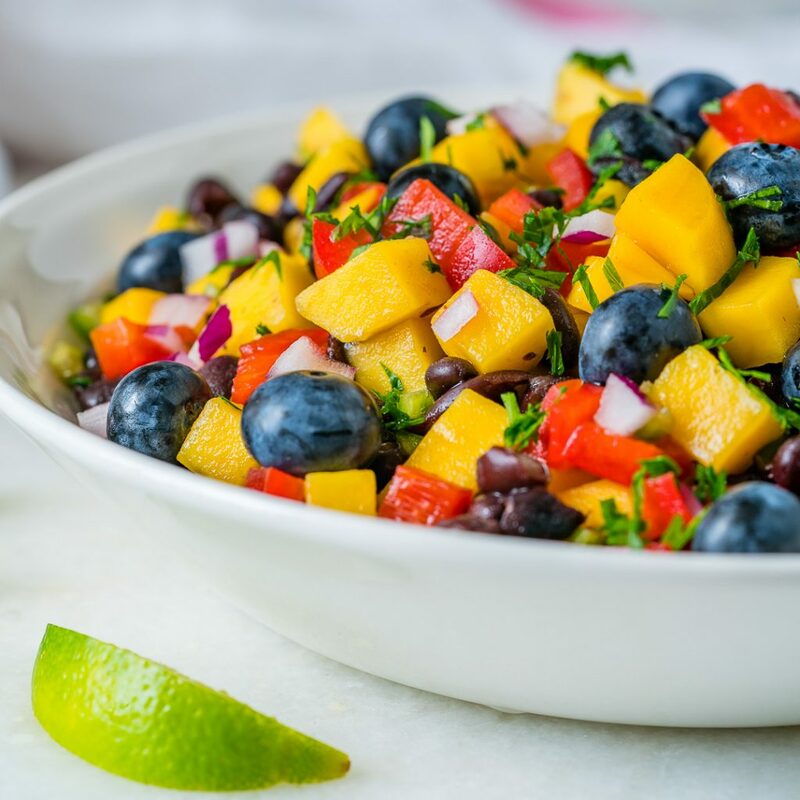 Put This Mango-Blueberry Salsa Over Grilled Chicken or Fish for Clean Eats! 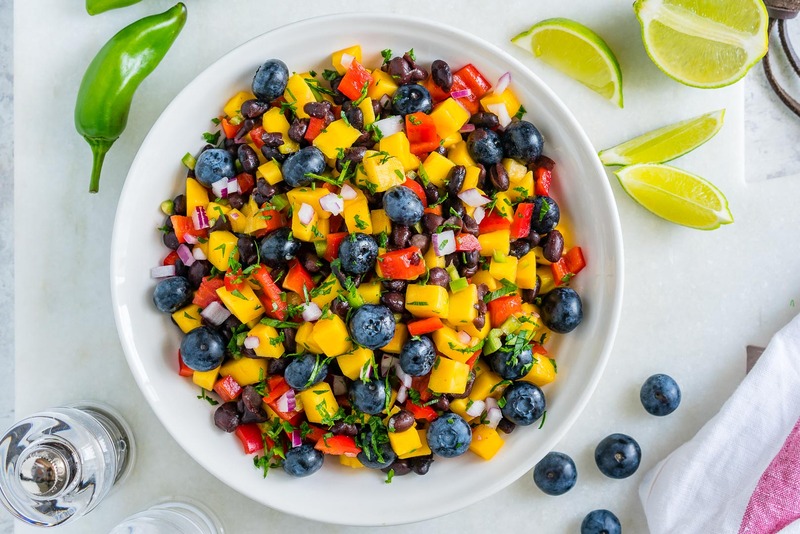 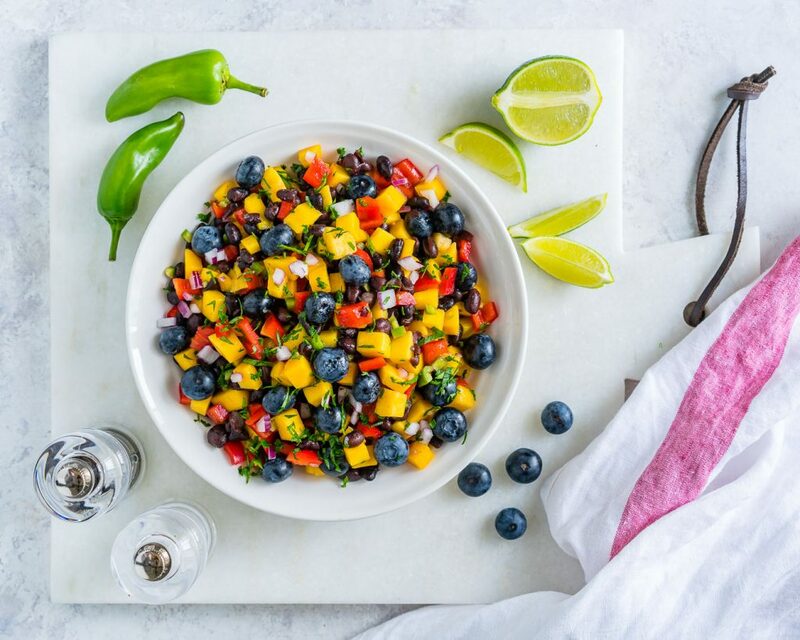 Place the mango, pepper, jalapeno, onion, and blueberries in a medium glass bowl. 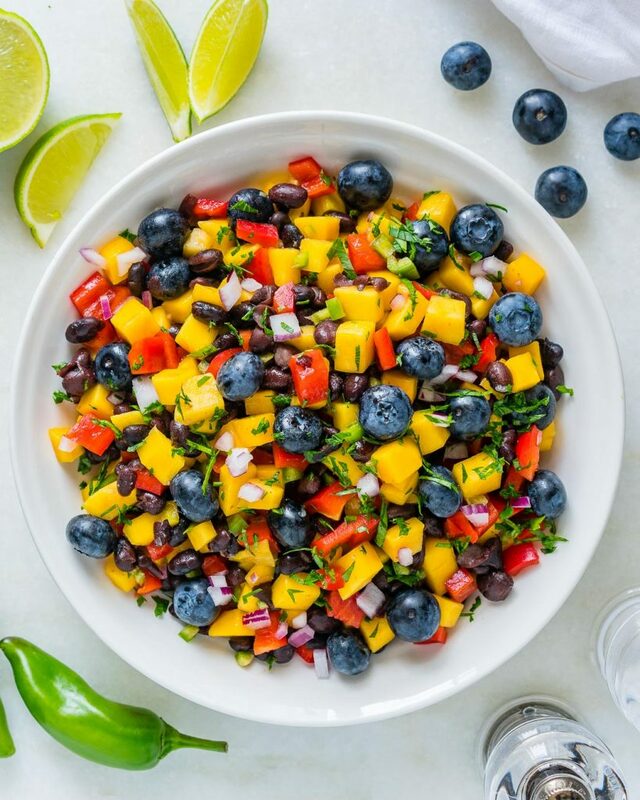 Add cilantro, lime juice and salt. 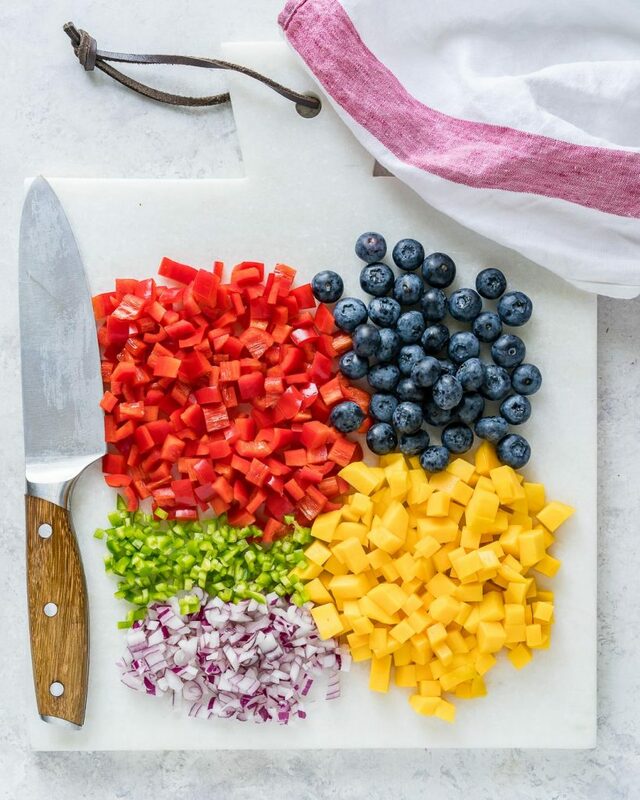 Stir gently to combine and enjoy! 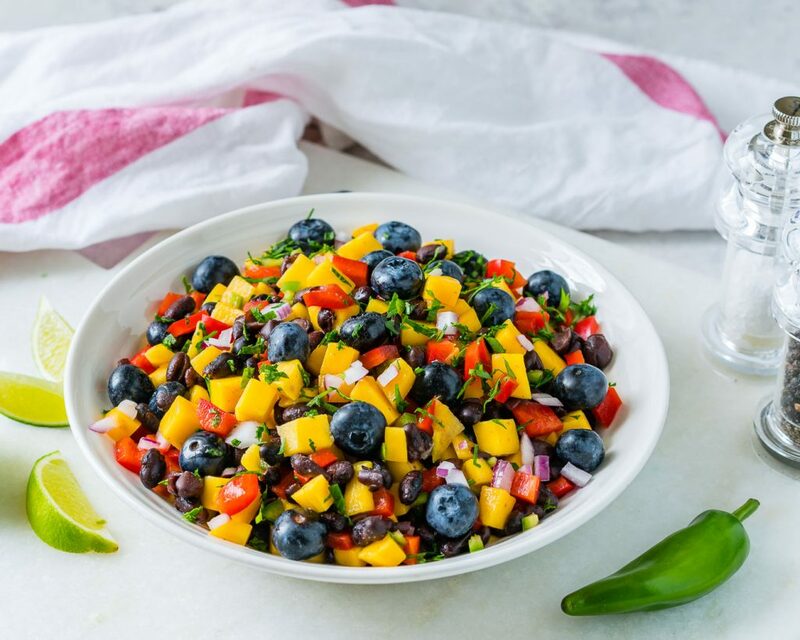 This salsa is especially great in top of grilled chicken, or fish!